Welcome to the second round of our monthly series “Best of Country by Travelers Around the World”! Every destination has its standard cliched icons. But the best travel experiences are personal, and the things that stay with us are not always the most famous, iconic sights, but those meaningful, inspiring experiences that make travel worthwhile. In this series, we asked travelers to contribute photos that best represent what their time in Mexico meant to them. We went to Mexico for a short time, just a few months prior to our vagabonding journey. It was near the end of my tenuous 2 year graduate program in Chemistry, so we spent most of our Mexico time laying down on the gorgeous beach and eating great food. 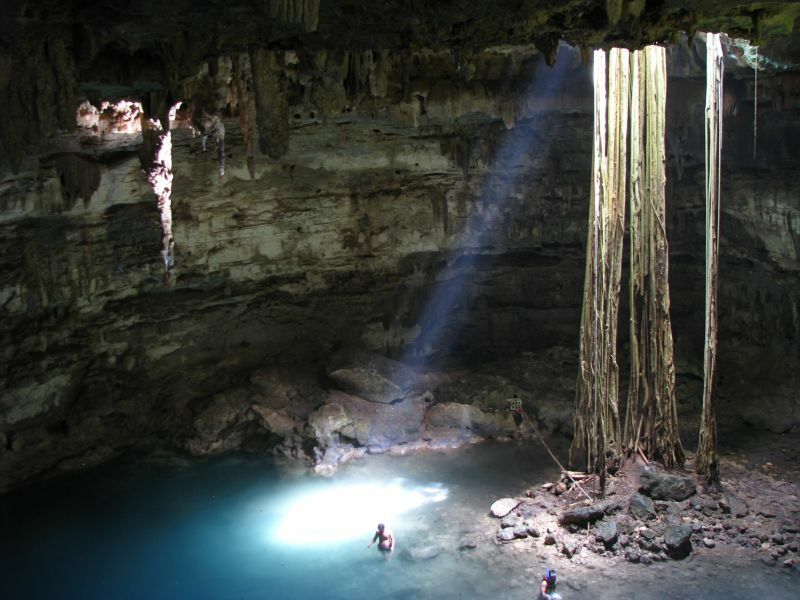 Other than that, we went to the fabulous Chichen Itza and Ryan plunge into a real cool cenote. We got a great taste of Mexico, but this was not much. We will one day come back to Mexico to explore more. Our fellow world travelers have been kind enough sending their photos of their best Mexican memories, and these have made us even more inspired to go back. I hope you get inspired too to visit the beautiful Mexico! I was privileged to be invited to a wedding on the little island of Isla Mujeres, just off the coast of Cancun in May 2009, at the very peak of the swine flu scare. 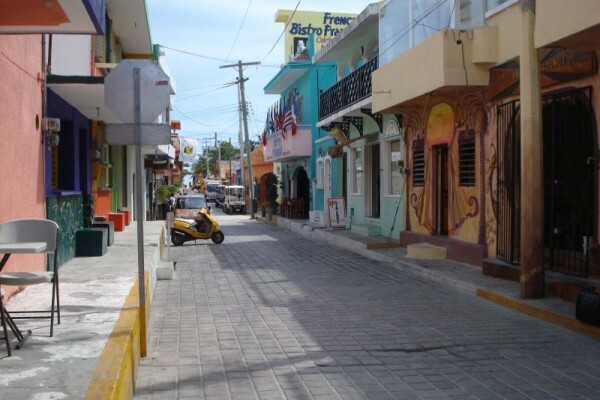 Traveling to a country that had temporarily lost almost all of its tourism due to the minor health scare which the media blew up into a massive end of the world scenario, meant that Isla Mujeres was almost entirely deserted. Our wedding party of approximately 25 had the whole island almost to ourselves – with the exception of the locals, of course. Tourists and travelers who avoided Isla Mujeres during the H1N1 scare really missed out. But as a guest at this wedding, I can say that we all benefited from their absence tremendously. The Mayan ruins throughout Central America rank tops on my list as a reason to travel and explore the region. The architecture at Chichen Itza is so intriguing, and these ruins in particular are in really great shape, so you can still discover the unique acoustics of the ruins complex and a slice of what was built so long ago but yet still stands today. Mexico’s history-rich architecture is one of my favorite memories from that country. Mexico is most well known for it’s ancient Mayan ruins, but even the colonial Spanish cathedrals that were built from the stones of destroyed indigenous temples are beautiful & interesting. 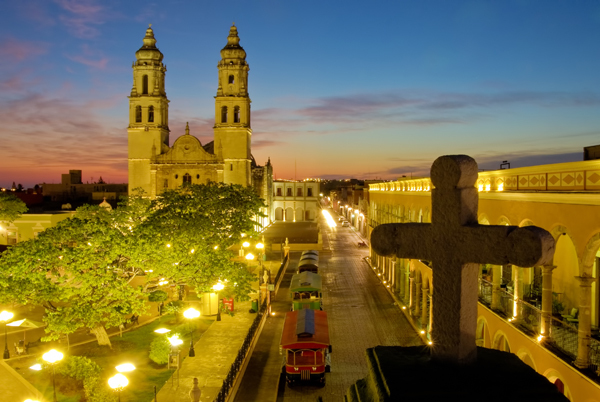 This is a sunrise at the Cathedral of the Immaculate Conception in Campeche, Mexico. The church was constructed after Francisco de Montejo conquered the Yucatan province for Spain. Knowing the tragic history behind the building makes the experience that much more special. When I think of Mexico, all I can see are bright colors. Perhaps the sun is turned up to full power that every color in Mexico appears brighter, just as the people do. The brightness of Mexico’s spirit for me came while visiting Juluchuca, just east of Zihuatanejo on the Pacific Ocean. The side-of-the-road, nothing-looking town is known for its production of coconut candies. Shipped all over Mexico, most of Juluchuca makes a living selling these overpoweringly bright and sweet confections. As you drive in, you will start to see colors not found in nature on the side of the road. Women, men, children and the elderly sell their creations. I toured one “factory” if it can even be called a factory. A woman who was arranging these packages of coconut candies did so in an uninterrupted way. As the saints above her looked down and the sinners of gawkers like me looked on, this is the Mexico I remember, colorful, spiritual and a little bit sweet. Cenote Samula: Located just outside the traditional town of Valladolid on the Yucatan Peninsula, this remarkable cenote (underground, water-filled sinkhole) receives barely any visitors in comparison to the cenotes located much closer to Cancun. But for 30 pesos ($2.50 USD), a climb down into this cave and a relaxing dip in the cool waters is an off-the-beaten path experience that does not disappoint. During the few months I lived in Playa del Carmen last year, I made the 2.5 hour journey to Valladolid and Cenote Samula on four different occasions! When we got to Mexico City, we knew we had to visit the Plaza Garibaldi. Plaza Garibaldi is a square where mariachis congregate on Friday and Saturday nights to practice and perform. Fans of Mariachi converge on the plaza, along with tourists and those interested in hiring Mariachi bands for parties and events. There was one Mariachi in particular who belted out the most marvelous mariachi folk songs and entertained the crowd tremendously. Listening to him and all the other bands was one of the things that made our stay in Mexico unforgettable. Mexico is well know for its tequila and beer. 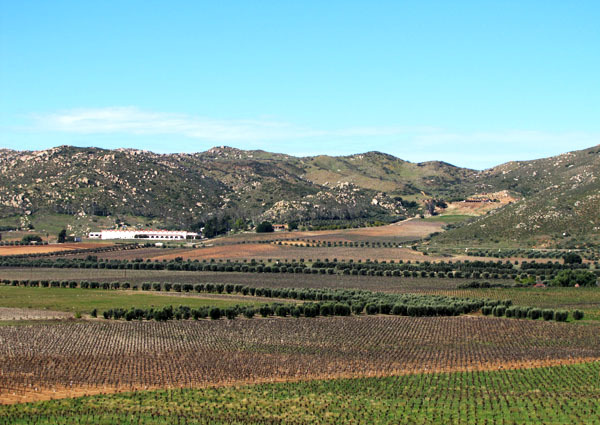 However, in the heart of northern Baja California you can find the nation’s prime wine country. The whole place is known as the Guadalupe Valley. Recently, I was able to visit the place and I was plesantly surprised by the colorful landscape. There is a mix of blue skies, different shades of green painting the vegetation, irony red soil and white peebles scattered around the mountains. All that surreal combination was accented with rows and rows of vines maturing for the harvest. 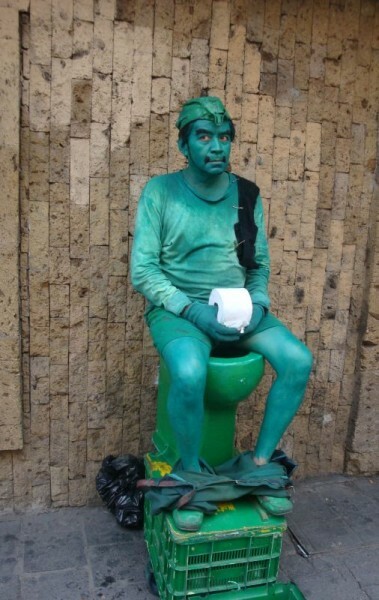 Without a doubt, a different aspect of ever surprising Mexico. Valladolid is an adorable colonial town stuck between Cancun and Merida.While most people only seem to stop here on their way to or from Chichen Itza, it is definitely worth your time. I spent three days here and completely fell in love with the town – can’t wait to go back! 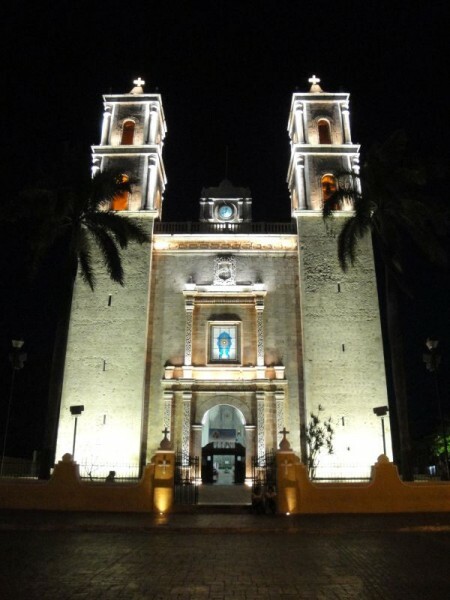 The Cathedral of San Gervasio sits on the main plaza in Valladolid, where you can find families, couple and street vendors enjoying the evening. It is the perfect spot to relax and enjoy some great people-watching. 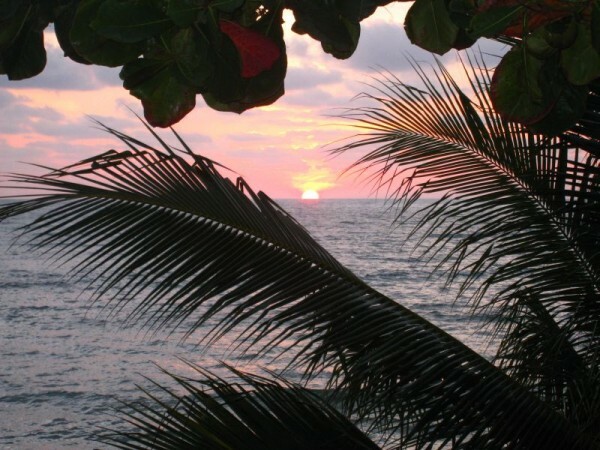 Sunset in Zihuatanejo, Mexico. We went on a surf trip in the Spring and it was perfect! Mexico was my first country on my RTW all-overland trip and it was a wonderful eye-opener on a completely different culture. I really enjoyed the southern part of the country, especially Oaxaca and San Christobal. 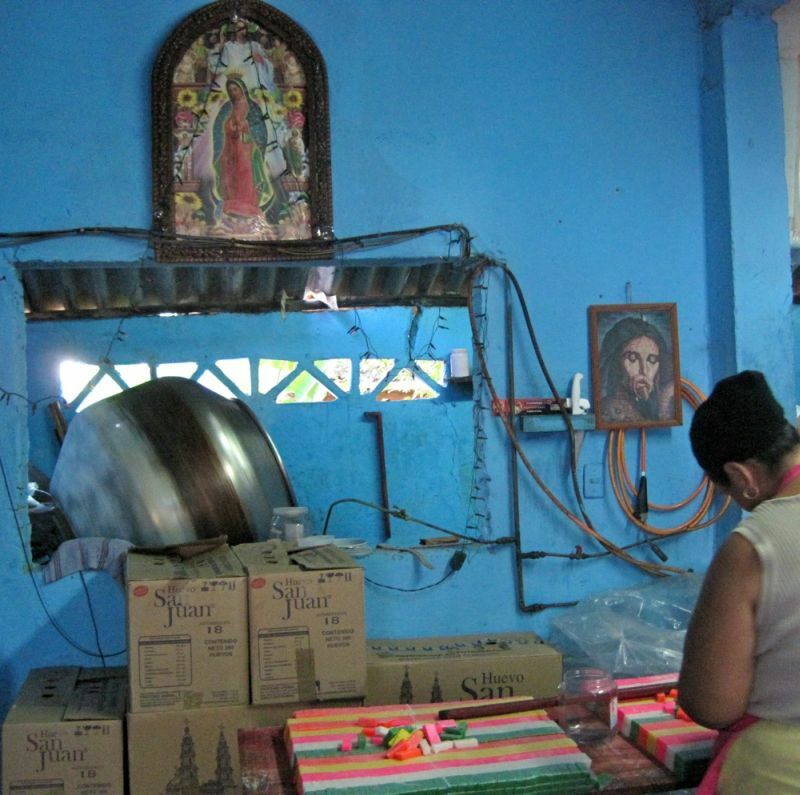 The little towns around there have an indigenous Mayan population with a unique characteristic… Coca-Cola plays a role in their religious worship. What a memorable day. 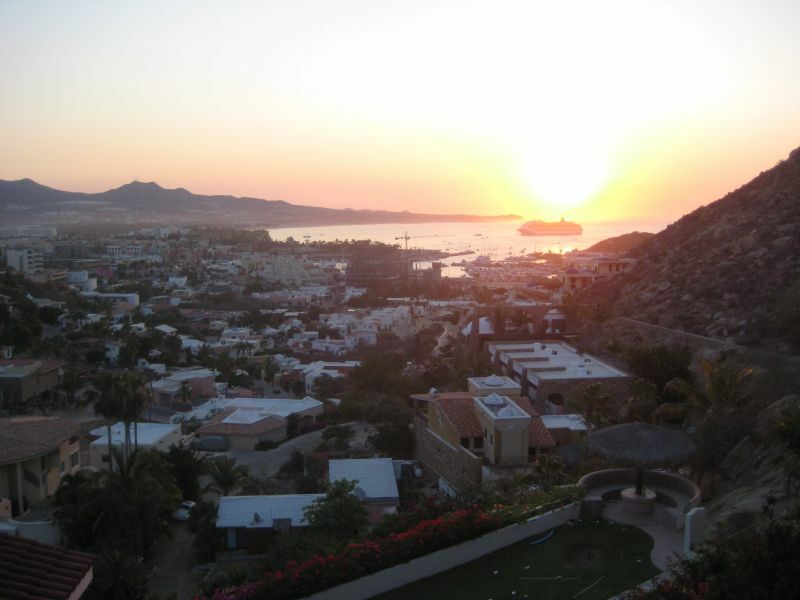 The attached shot was taken at sunrise from a house called, “The Golden Dome” overlooking the Sea of Cortez in Cabo San Lucas from a house called, “The Golden Dome” in the community, Pedregal. The house offered such stunning views and so many amenities that it was sometimes hard to leave it and experience the nightlife of Cabo San Lucas. 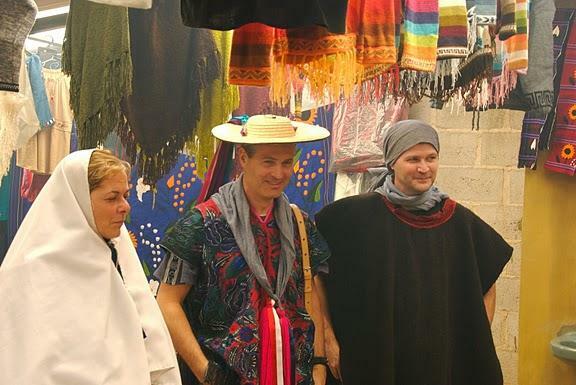 We went to Mexico right after I did my graduate program’s defense, before we started our vagabonding journey. We were timid, and we were tired. The fondest memory of Mexico for our lazy asses? Just relaxing on the beach everyday, becoming one of many beach bums there! 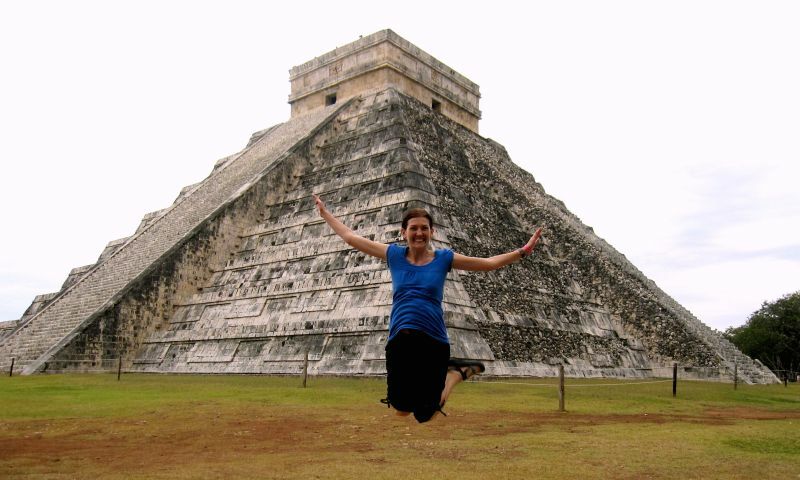 Of course we also loved visiting Chichen Itza and jumping into the cenote (sinkhole). And oh, we also ate a lot. A lot! My second trip ever to Mexico was to Baja California Sur to the protected area Isla Espiritu Santo. One day spent on this northeast coast was absolutely magical: beautiful weather with seals sunning themselves on island rocks. We sailed in and amongst the caves and dolphins. The ocean was calm, clean, pristine and pure from aquamarine to navy blue. We stopped near the seals to snorkel but I am not a swimmer so needless to say I did not jump in. Others jumped in to explore the ocean depths. The trip leader was kind enough to show me what I was missing on the dive: he brought me up some different starfish to look at. Look at what I was missing! We returned them to the ocean before we left though. 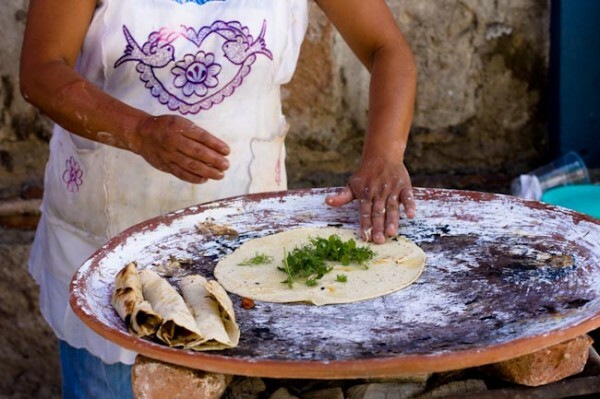 Oaxaca has been named a UNESCO world heritage site for cuisine and the complexity of the food can stand up to any of the world’s culinary centres. This photo represents all of the great food memories that I had while in Mexico and reminds me that I need to return. What about the rest of you, guys? 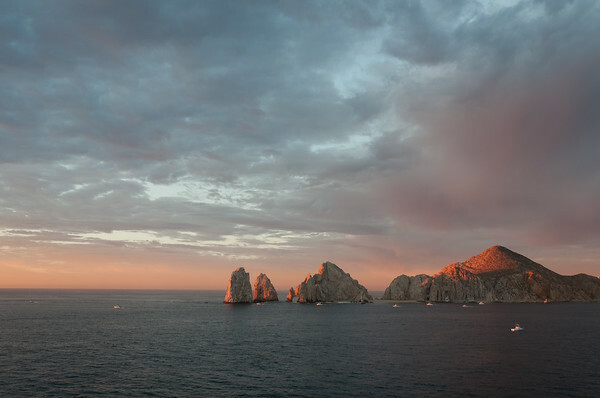 Tell us your favourite memory of Mexico! Got a photo and a story as well that you want to share here? Send it to dina@VagabondQuest.com, and we will update this article! Have you traveled to AUSTRALIA? Do you want to share your memory of it? Anybody can participate! Optional: If you have written an article in it, you can include the link. We will post it up if it fits. 19 May 2011 (Thu) – That’s 3-4 weeks from this post’s date. But don’t worry, if you submit later than that, we will update the article with your submission! Thank you so much, this article wouldn’t exist without you! So many great photos of Mexico! We are heading to PV in a week and a half for a surf trip and can’t wait to soak up the mexican culture and, of course, food! What a FUN post! I loved seeing the various photos, they really point to the great diversity of Mexico. Thanks!! Yeah, I have a lot of fun too seeing these great photos, really inspiring us to go back there! And I just got back to my apartment after spending a couple of hours at the exact same beach in your photo above. If you ever make it over here again soon, let me know!! Hey Earl, back in Mexico? Wow! We might go there later this year. Who knows our paths will finally cross?! Hooray for Mexico!! Surprisingly I’d say Mexico is a bit underrated as far as backpacking countries go. It’s a deep and intense country. Yeah, I was seeing Mexico before not from the backpackers point of view, looking forward to go back there and see it deeper!! I love this series! Especially love Matt’s photo in this one – breathtaking! Thanks Dalene Matt is one of my favorite travel photographer! His sunrise shots are superb! Stunning pics. I’ll be heading back to Cabo in a week, yay! Yay, you are probably there now! Wanna send a pic? That’s exactly how I feel too, Shannon I missed so much stuff! Great series guys! I have fond memories from some of the same spots. Loved all the cenotes down there! Hey Matt, thanks for the superb photo! Did you jump into the cenote too? Ryan did it, but I chickened out! 7 months!!! I can’t imagine how hard it is to pick just one pic Thanks for sending to us this particular one, really adds to the diversity to the bunch! Hey, guys, thanks for including me! Mexico strikes me as a very laid back, peaceful country. I will be returning, for sure. Yeah, we wanna go back too Thanks for sharing your unique memory of Mexico! Thanks for inviting me to contribute. All the photos are great. I can decide which is my favorite. It is great to see the wide diversity that Mexico offers. I know! 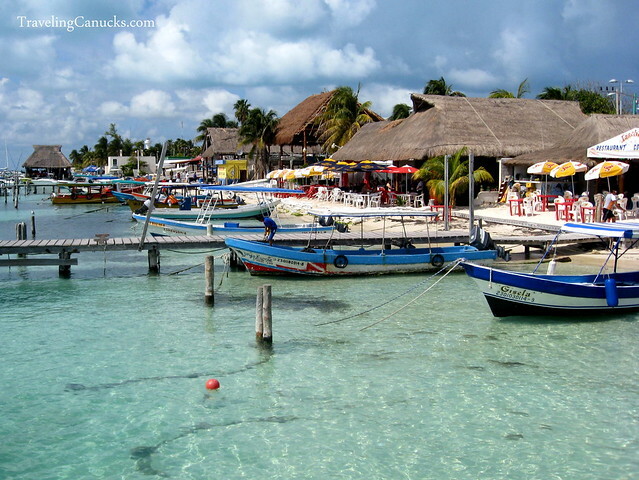 We were there only for 1-2 weeks in a lazy beach bum holiday only, I want to explore Mexico deeper! thanks again for asking me to contribute. This is a wonderful series of posts and really makes me want to get back out there and travel. Wait… I am out there. OK, it makes me want to go back to some of the great spots you guys have highlighted. Well done. Thanks for the great photo! Oh, are you in Mexico now? You should meet up with Wandering Earl, he is there too!! Are you currently walking around with that outfit above? Thanks for including my photo! I love this series you guys have. I am dreaming of Earl’s Mexico contribution. Sounds like a dream I need to swim in at some point. Thanks for the great photo, Suzy! Coconut candy home factory, wow, that’s really unique Earl’s photo makes me regret not jumping to it the last time we were in Mexico. Ryan did, I chickened out (the jumping platform was a few meters high). Absolutely amazing photos. Wow …. so so so beautiful and others so funny. I agree with Suzy! Great series and thanks for sharing. Mind you , I have not travelled alot but Mexico is my favorite place after I first set eyes on it in 2007. It reminds me of the Caribbean where I grew up but with 100 x the culture and color! Love it!! Correction to #11- In Oaxaca, the main indigenous groups are the Zapotec and the Mixtec, not Mayans! Other than that, thanks for highlighting some of the different attractions of the highly misunderstood/underrated country of Mexico! How wonderful to capture so many different aspects of Mexico. Feel like I’ve been to all those places, although I’ve only been to Mata Ortiz and Guadalajara. Great idea for a post series, love the photos! It’s neat to see all of the different perspectives and experiences brought together in one post. I was delighted to see the diversity of photos and moments when I opened the submission emails. Making this series is a lot of fun, and we hope you and others enjoy it too! Great photos! 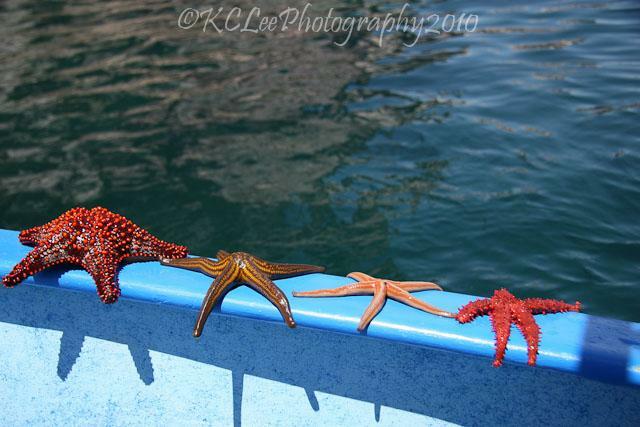 I love the starfish one! Awesome! I never wanted to go to Mexico. Now maybe I do! I stayed at that hotel at Playa del Carmen! Ii was amazing! Cool! The food was great there! Fun photo blog! We actually got married in the Mayan Riveria a couple years ago and will be back in Mexico later this month. You guys got married in Mexico? Really cool! Lots and lots of beautiful Pictures. I always loved traveling through Mexico and it is fun always! Yeah, I wish to explore more of this country one day! One of the best collection of Mexico pictures that I’ve ever seen! I’ve been to Mexico many times before and it never stops to amaze me. Before digital times eh, I remember that time, you have to be easy on taking photo, each costs money! Great photos and memories, Mexico has always been on my list, can’t wait to spend some time there! Thanks! Mexico is beautiful indeed, I hope one day you get there! Thank you to all photo contributors for this post! Have been to Mexico three times and always up for more. My last trip was a whirlwind from Mex City down to Cancun but I saw so many places I want to go back to again! Great list! We also need to go back there again! We were there only for a short holiday before, we want to explore the country more! We would love to go to Mexico, not the boring Mexico of beaches and resorts but old Mexico, historic Mexico, rural Mexico. However, we have no intention of visiting a country that these days appears to be totally lawless, if not downright dangerous, notwithstanding its beauty and history. Such a shame. 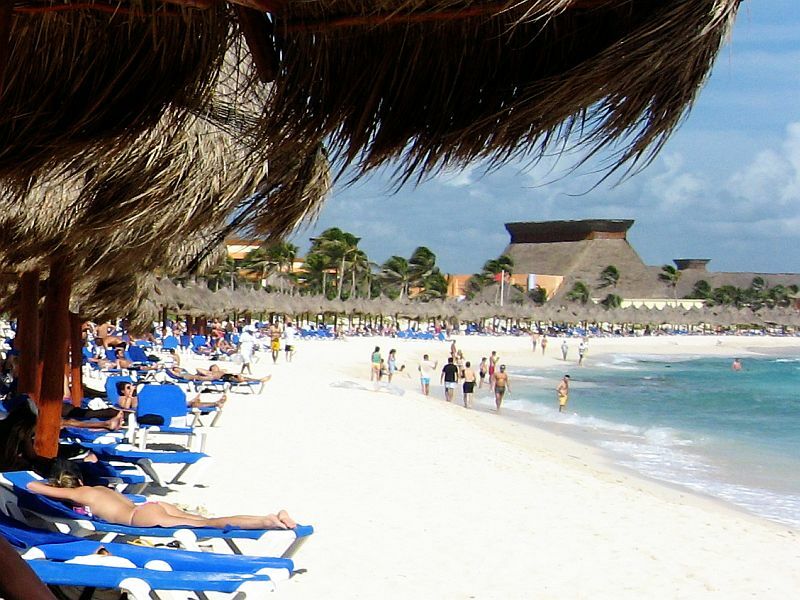 which season is best time for traveling to Mexico!? I love your blog, I love your pictures. Regrettably, while I would love to visit Mexico for the sights David has mentioned, I would not want to go there for the reasons he mentions. I lived in Europe in the 80s, during the time that terrorism was rampant and did not understand why North Americans were so anxious about visiting, but now that I’m older, the thought of going to Mexico, with its drug cartels, bandits and crooked police does not encourage me to visit. I love this post! Mexico it’s so interesting! I love that their culture they have so many colors and history! 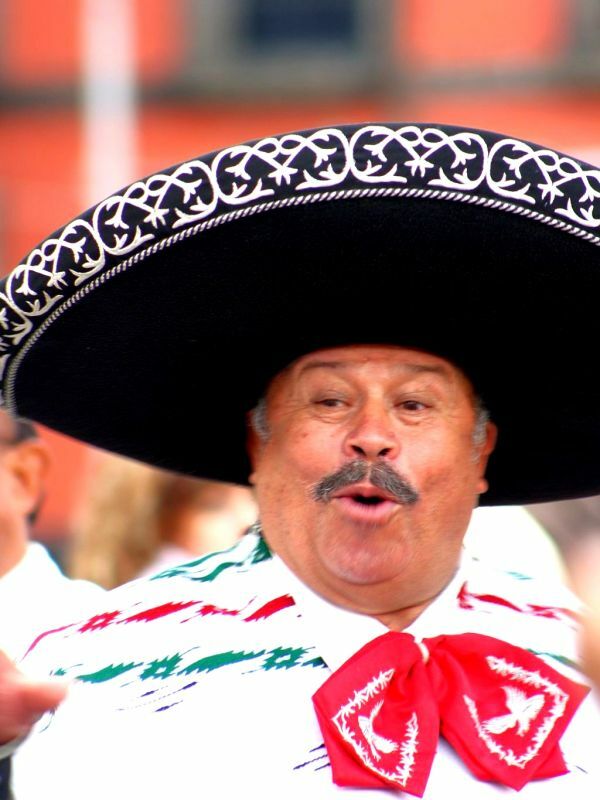 Mariachis are always fun to watch and dance! I’m going to San Carlos Mexico for Christmas! Can’t wait!